We are very happy to be able to offer this 4.6-star-rated mini portable project via Amazon for just $64.99. This APEMAN hardware is highly diverse, ultra-portable, and offers a wonderful AV experience for those interested in this type of product. This LC350 model is an improvement over APEMAN’s previous model and makes improvements in some key areas. It offers 3,500 lumens of brightness and up to 45,000 hours of lamp life. That means you can effectively watch Shrek 2 up to 21,000 times before you will need to replace the lamps in the projector. That’s a whole lot of talking donkey. It also supports 1080p Full HD multimedia video and has multi-input connectivity to suit your diverse needs. In terms of actual projection, we all know that size does indeed matter, which is why you will be hugely impressed with the 34-inch to 180-inch screen size. The only real limitation is your property and how much wall space you have available for this. It can be ceiling or tripod mounted to meet your requirements, offers superior stereo sound, and comes with an adjustable footpad to change the angle of the projector which is perfect depending on your use case and how you choose to mount this hardware. 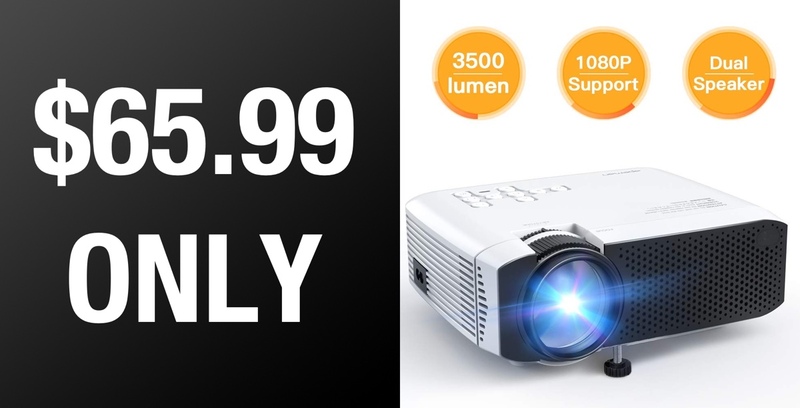 All-in-all, if you are looking for a highly portable and highly affordable media projector which will make time with the family fun and enjoyable without having to spend a ton of money, then this APEMAN LC350 could be the perfect purchase for you. That sounds like more than enough power and projecting performance to appeal to anyone looking for this level of functionality in their home or office. If it has managed to pique your interest and you think it’s worth the investment – which, let’s be honest, it definitely is – then you can find everything that you need below. This includes the direct product link, a discount code linked to the purchase, and the on-page 20% additional discount coupon that will get you the maximum locked in discount. Grab it right now while you still can at this limited-time $65.99 price. Redmondpie.. stop promoting projectors as 1080p when optical resolution is 854*480 !! When I put the discount code in, it only takes $4.40 off of the $88. Are you getting kickbacks for promoting this garbage? These things are not what they say they are, they will barely produce 1% of the lumen output they claim, unless you count the brightness of the flames produced by your home as it burns to the ground due to you plugging in this piece of junk! Ya me too what’s up with that? Did you figure it out? They clearly are getting money. This is not a full hd projector. It is WXGA. Don’t be stupid enough to buy it. 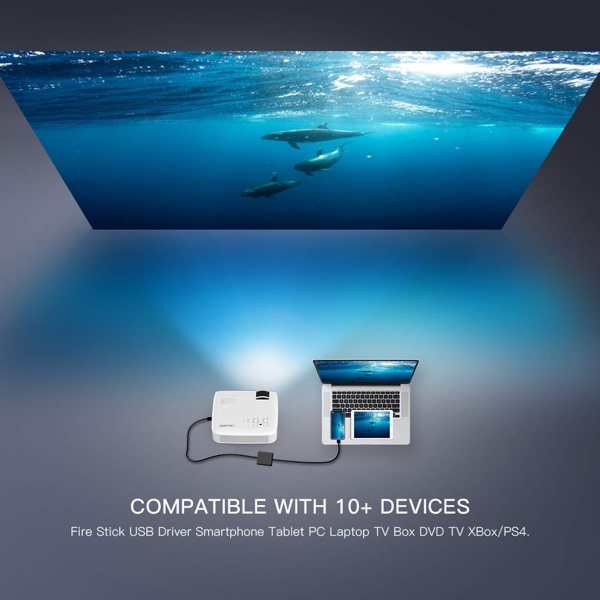 Dont buy it Oo it is not a HD projector.